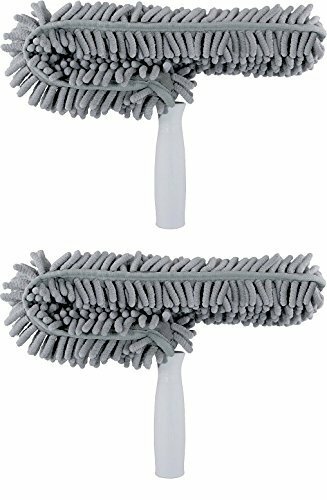 Unger's Microfiber Ceiling Fan Duster cleans all sizes of ceiling fans safely and easily without the need for harsh chemicals. The Microfiber attracts and holds dirt and dust like a magnet - more dust than poly dusters. The patented C-shaped design cleans both sides of the fan blade at same time for faster results. A 10-inch handle comes included or the duster can be attached to any Unger pole (sold separately). Unger guarantees to replace any Unger Professional branded product found defective in material, construction, or workmanship.